Known to some as the “father of PIAAC”, Dr. Eugene Harvey Owen passed away on March 23, 2015. 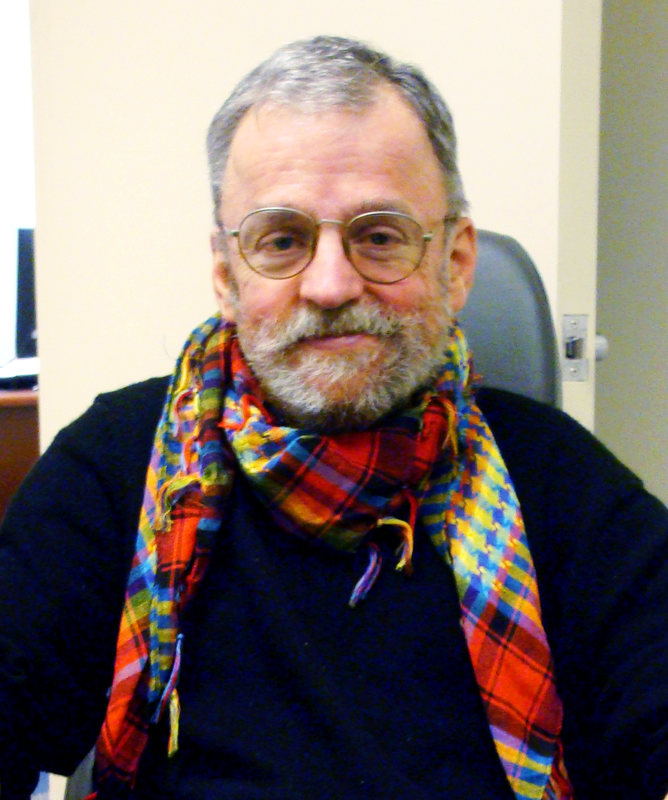 Eugene worked at the National Center for Education Statistics (NCES) for nearly 30 years. As the first Director of the International Activities Program, Eugene played an instrumental role in the creation and development of three international student assessments (the Trends in International Mathematics and Science Study, the Progress in International Reading Literacy Study, and the Program for International Student Assesment), an international teacher survey (the Teaching and Learning International Survey), and PIAAC, which today are the cornerstones of international benchmarking of student performance and adult literacy. Eugene was fluent in at least 10 languages. He is remembered for his kindness, generosity, and great sense of humor. He is sorely missed by his friends, family, and coworkers. "[Eugene's] capacity to anticipate strategic policy challenges well ahead of their time and then to build networks of experts and friends to make things happen was unsurpassed. He drew his authority, motivated people, and built networks of experts and friends not through any formal roads, but with leadership, ideas, with unmatched dedication and most important, with a human heart." “Eugene was a just and a fair person, who had the capability to see and seek goodness in people. He was interested in people and their life stories. With most people, it usually takes some time before one can build trust or a meaningful relationship, but with Eugene, after a short time, I knew he was my friend, and I felt that I had known him all my life. And I know this to be true for many people who like me, were fortunate enough, to have known him." Eugene’s family and friends set up a scholarship fund that will enable students to pursue their studies in the field Eugene devoted much of his career to— international educational analyses and statistics. The fund will be housed at the University of Michigan’s Inter-university Consortium for Political and Social Research (ICPSR). Awards will be given to selected young scholars to participate in the ICPSR Summer Program, a program that provides training in statistical analysis required for the analysis of international assessments of student achievement. For more information about the scholarship fund, check the University of Michigan ICPSR website for updates. "We are at a crossroads. As a nation, we can decide to accept the current levels of mediocrity and inequality or we can decide to address the skills challenge head on. The choices we make will provide a vivid reflection of what our nation values" (America’s Skills Challenge, p. 3). The report, the first in a series by ETS based on a closer analysis of the PIAAC (2012) data, focuses on the cohort of young adults born after 1980, referred to as “millennials,” who were 16 to 34 years old at the time of the assessment in 2011-12. ETS chose to look at this group for three reasons: (1) they are the most recent product of our education system and, therefore, their performance on PIAAC helps us understand whether the educational reform efforts we have made over the past 15 years have taken us in the right direction; (2) they have the most education, as a group, of any age cohort and therefore enable us to look at the relationship between education and skills; and (3) “they will shape the economic and social landscape of our country for many years to come” (America’s Skills Challenge, p. 2). "The Skills Gap: America's Young Workers Are Lagging Behind"
“U.S. Millennials Post ‘Abysmal’ Scores in Tech Skills Test, Lag Behind Foreign Peers"
"American Millennials Are Among the World's Least Skilled"
"America's Millennials: Well Educated But Unskilled"
"How Millennials Could Damage the U.S. Economy"
How do the average scores of U.S. millennials compare with those of their peers in other participating countries? • In literacy, U.S. millennials scored lower than their peers in 15 of the 22 participating countries. Only millennials in Spain and Italy had lower scores. • In numeracy, U.S .millennials ranked last, along with their peers in Italy and Spain. • In problem solving in technology-rich environments (PS-TRE), U.S. millennials also ranked last, along with their peers in the Slovak Republic, Ireland, and Poland (America’s Skills Challenge, p. 4). The ETS study finds that our performance has declined not only comparatively, but absolutely: literacy scores in the United States have declined since the 1994 International Adult Literacy Survey (IALS), and despite our intensive focus on STEM skills in the past decade, numeracy scores have declined since the Adult Literacy and Lifeskills (ALL) Survey in 2003. How do U.S. top-performing and lower-performing millennials compare to their international peers? • Top-scoring U.S. millennials (those at the 90th percentile) scored lower than top-scoring millennials in 15 of the 22 participating countries and only scored higher than their peers in Spain. "The results may stun Millennials, given their reputation for being tech-savvy idealists. Many of them are in college or are recent grads, and paying off heavy student debt burdens. Unfortunately, despite having the highest levels of educational attainment of any American generation, the group is falling far short of their peers in other countries." What is the degree of inequality in the score distribution? • The gap in scores (139 points) between U.S. millennials at the 90th and 10th percentiles was larger than the gap in 14 participating countries and was not significantly different from the gap in the remaining countries, signaling a high degree of inequality in the distribution of scores (America’s Skills Challenge, p. 4). • The gap in the United States between the skills of adults whose parents had less than a high school education and those with at least one parent with a college education was one of the largest across the OECD countries, suggesting that skill level in the United States is more closely tied to “…the fortuitous circumstances of birth or position” than it is in most other OCED countries” (Adams, The Epic of America, quoted in America’s Skills Challenge, p. 28). • There was also a high degree of inequality in the distribution of scores by race and ethnicity in the United States. While young U.S. adults of every race and ethnicity did worse than their peers in other countries, the performance of Black and Hispanic young adults—at every level of education—was substantially worse: 88 percent of Black and 83 percent of Hispanic millennials in the United States scored below the OECD proficiency level in numeracy, compared to 54 percent of White and 52 percent of Asian millennials (America’s Skills Challenge, p. 38). "If, despite investments and reforms in K-12 education over the past decades, America continues to lose ground in terms of the developed skills of its adult population and workforce, then we need to better appreciate the ways in which education can perpetuate inequalities of opportunity at all educational levels, as well as help redress this problem (emphasis added)" (America’s Skills Challenge, p. 5). "Historically, the main equalizing force—both between and within countries—has been the diffusion of knowledge and skills. However, this virtuous process cannot work properly without inclusive educational institutions and continuous investment in skills. This is a major challenge for all countries in the century underway" (America’s Skills Challenge, p. 6). The data and analysis provided in the ETS report makes the challenge facing us very clear and underlines the importance of initiatives like Upskill America which aim to make investing in skills everyone’s business. On April 24, the White House convened a summit with nearly 200 employers, labor leaders, foundations, nonprofits, educators, workforce leaders, and technologists who are answering the President’s call to action to join his Upskill initiative, a new campaign to help workers of all ages and backgrounds earn a shot at better, higher paying jobs. The Upskill initiative is a public-private effort to create clear pathways for the nearly 24 million workers in frontline jobs who too often may lack the skills or opportunity to progress into higher paying jobs and realize their full potential. The PIAAC data played a significant supporting role in profiling the nearly 24 million workers with low skills, helping to build the case for why we need to act now. Analysis of the PIAAC data informs the decisions and recommendations throughout the White House Upskill report announcing the initiative and the discussions at the April 24 summit. One hundred leading employers and 30 national and local labor unions have made new commitments in response to the President’s call to action. Both the President and the Vice President have highlighted the importance of following through on these commitments, since the initiative’s success will require both employers and labor leaders, philanthropists and technology innovators, and educators and workforce leaders to commit to unlocking the potential of every American worker. • See the commitments made in the White House Upskill Fact Sheet. • Find data on why upskilling is important and examples of best practices in the White House Upskill report. • Watch the Vice President’s remarks at the April 24 summit. • Consult the practices and vignettes in A Guide to Upskilling America's Frontline Workers, a handbook for employers. • See strategy 6 in Making Skills Everyone’s Business: A Call to Transform Adult Learning in the United States, a report released by the U.S. Department of Education’s Office of Career, Technical, and Adult Education (OCTAE), on how upskilling can help achieve this transformation. • Use a toolkit designed to support adult education provider and employer partnerships. • Read vignettes of how adult education can support employers in their efforts to provide more education and training for front-line workers in the OCTAE blog post. Find more details and sign up to get involved through the White House Upskill website. Education and Skills Online Assessment (ESO), the individual assessment linked to PIAAC, will be released in early August 2015. Like the PIAAC 2012 main assessment, ESO will measure the cognitive skills (literacy, numeracy, reading components, and problem solving in technology-rich environments,) of adults age 16 and older. ESO will also include a non-cognitive module which will assess behavioral performance competencies, subjective well-being and health, career interest and intentionality, and skills use at work and at home. In the United States, ESO will be available in English and Spanish and assessments will be downloadable on demand over the Internet. It is appropriate for use in both educational and workplace settings. Businesses, government agencies, community colleges, vocational education and training centers, and other organizations that want to test these workforce-readiness skills can purchase the assessments. For example, a state or county workforce board could sponsor the use of ESO and administer the assessment to people in their region or particular populations in their region (e.g. prison population, unemployed population, or disadvantaged adults). The sponsoring organization will have flexibility to determine which skills to assess and will own the data and results. After the individual takes the assessment, ESO generates an individualized report that summarizes the non-cognitive areas selected and the strengths and weaknesses in each cognitive area assessed. ESO also provides scores reported by proficiency levels. All results are comparable with, and can be benchmarked against, the national and international results of PIAAC 2012. You can test your PIAAC skills today using a demonstration of ESO available through the OECD website. You can also download the PIAAC Outreach Toolkit on ESO. 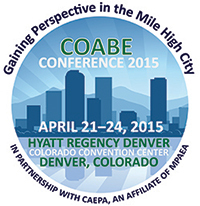 At the 2015 Conference of the Commission on Adult Basic Education (COABE), held on April 21-24, the AIR-PIAAC team was joined by a group of researchers to present a strand of PIAAC sessions. The strand began with an introduction to the PIAAC study focused on the numeracy results and the implications for the United States of having a large number of low-skilled adults in the workforce. William Thorn, manager of PIAAC at the OECD, joined our team at the conference to highlight data from the OECD’s forthcoming report on the PS-TRE domain. Other sessions featured presentations from the authors of the research papers commissioned by AIR through funding provided by the U.S. Department of Education’s National Center for Education Statistics (NCES). They included presentations on research findings on adult learners and nonlearners, on adults’ readiness to learn, and on the relationship between skills and health status. The strand also included a presentation by Portland State University and Multnomah County Library on a project that will use Education and Skills Online (ESO), the online assessment aligned with PIAAC, to assess the digital problem-solving skills of library patrons. The strand concluded with a session on PIAAC’s implications for policy and practice during which the presenters from all of the previous sessions gave an overview of their key findings and engaged the audience in a dialogue about the importance of PIAAC data in informing policy and practice. 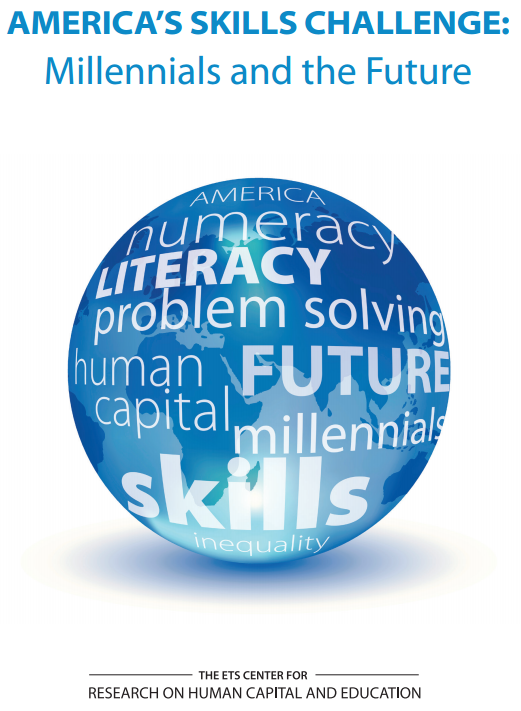 On May 27, the Organization for Economic Cooperation and Development (OECD) released a report called OECD Skills Outlook 2015: Youth, Skills and Employability, which focuses on young adults (ages 16-29) and the impact of education and training on employability for this age group. The report has been posted to the home page of the PIAAC Gateway. Adults, Computers and Problem Solving: What’s the Problem? According to a new OECD report on digital problem solving—Adults, Computers and Problem Solving: What’s the Problem?—labor force participation rates among adults who reported having no experience in using digital devices are 15 percentage points lower across participating countries, and their wages are 6 percent lower, than those of adults who reported having no basic problem-solving skills using digital devices. The report, released on June 23, analyzes PIAAC data related to the PS-TRE domain, the use of information and communications technology (ICT), and problem solving. The report explores questions such as these: What are the returns to “digital skills” (defined as the capacity to use digital devices) in the labor market? Does possessing these skills help workers get a job or earn higher wages? Read the full report and the related blog post, and check out the infographic. On July 17, the OECD released a working paper called THE CAUSES AND CONSEQUENCES OF FIELD-OF-STUDY MISMATCH: AN ANALYSIS USING PIAAC, which uses PIAAC data to evaluate the causes and consequences of field-of-study mismatch, including the costs to individuals - in terms of wages, risk of being out of work, and job satisfaction. The report has been posted to the OECD library. A data snapshot illustrating the distribution of earnings by literacy proficiency level was recently added to the NCES PIAAC homepage (http://nces.ed.gov/surveys/piaac/). The snapshot shows that 41 percent of those performing below level 2 in literacy reported yearly earnings between $15,000 and $29,999, while 41 percent of those performing at level 4 or 5 reported yearly earnings of $70,000 or higher. The corresponding tables and charts can be found here: http://nces.ed.gov/surveys/international/tables/B_4_13.asp#PIAACEarningsTable. NCES recently launched a blog that will be an avenue for learning more about the data it collects across the full range of its activity areas, including early childhood education; elementary and secondary education; student performance on assessments; postsecondary education; adult education and literacy; and international education comparisons. New posts will be added weekly. Read the welcome post from Acting NCES Commissioner Peggy Carr to learn more and visit the blog here: http://nces.ed.gov/blogs/nces/. In April and May, the National Coalition for Literacy (NCL) held a two-part webinar series called “Framing Effective Advocacy Messages: Using PIAAC Data.” These webinars were designed to strengthen the ability of participants to advocate for adult education using the PIAAC data. Each webinar included a presentation on research findings, a segment on effective messaging, and a research-to-practice response by a local adult education advocate. The slides used in the webinars are available here. The National Council for Adult Learning (www.ncalamerica.org) is a new organization established by Gail Spangenberg, past president and founder of the Council for Advancement of Adult Literacy (CAAL). NCAL's primary purpose is to improve adult education and workforce skills in the U.S. by fostering an environment more sensitive to employer workforce needs and helping to move low-skilled adults and incumbent workers toward readiness for college, self-sustaining employment, and fuller civic participation. Distance learning and health literacy are also on the agenda. NCAL's latest newsletter features coverage of new PIAAC developments and provides a link to its new Blog in which several Adult Education leaders comment about the XPRIZE Adult Literacy award program. To sign up for NCAL's ENewsletter, send your name, affiliation, and e-mail address to info@ncalamerica.org. Interested in how Germany is using PIAAC data? Additional reports on Germany (in both English and German) have been posted on our Country Reports Gateway page. Apply now to participate in a PIAAC workshop week (October 26–30, 2015) in Cologne, Germany, sponsored by the German Federal Ministry of Education and Research. Two workshops will be conducted consecutively, and they will offer junior researchers and master’s and Ph.D. students who are interested in the PIAAC data the opportunity to learn how to use new data analysis tools and methods to conduct multilevel analyses with PIAAC data. Applications are due by July 31, 2015. The OECD, in collaboration with the Dutch Ministries of Education, Culture and Science, Social Affairs and Employment, and Economic Affairs, and Maastricht University, is organizing the Second PIAAC International Conference in Amsterdam on November 22-24, 2015. The purpose of the conference is to present work using data from PIAAC related to issues such as: the deployment of skills in the economy, returns to education and skills, or the influence of workplace training. The organizers launched a call for papers that will be presented in a series of workshops during the Conference. The research papers should be primarily based on PIAAC data, and have a clear focus on topical policy issues. Deadline for submission is in September 2015. For more information click here. • Literacy, numeracy, and problem solving in technology-rich environments scores were positively associated with self-rated health, but after controlling for characteristics such as age, gender, marital status, health insurance, and employment, only literacy was a significant predictor. • A 10-point increase on the literacy scale was associated with 2.6 percent greater odds of being in a better health category. "Not in school, not working: Millions of young people worldwide are disengaged"
"1 in 6 Young Americans Neither Schooling Nor Working, OECD Report Shows"
"A challenge and a reward: $7 million XPrize to create ed tech for adult literacy"
Visit the PIAAC Gateway Pressroom to view more. OCTAE, along with two agencies within the National Institutes of Health—the National Institute of Child Health and Human Development (NICHD) and the Office of Behavioral and Social Sciences Research (OBSSR)—have announced an extended deadline for research paper proposals using the PIAAC data that investigate the relationships between health, skills, and well-being for adults and their families. The deadline to submit a preliminary draft paper for funding consideration is September 15, 2015. Read more about the call for papers here. Portland State University, in collaboration with AIR and ETS, has been awarded a 3-year grant from the U.S. Department of Education’s Institute of Education Sciences. The goals of the grant are to build the capacity of the U.S. research community to utilize the PIAAC dataset and tools, to provide ongoing training and support to researchers, and to create and strengthen multidisciplinary research networks. There will be three 3-day trainings and five 1-day trainings culminating in a research conference at the end of the third year to showcase the research. More detailed information on these trainings will become available over the next few months. If you are interested in participating in either the 1-day or 3-day data trainings, check back on the PIAAC Gateway for training session dates. Information about the trainings will also be posted in the PIAAC Research Wiki. If you are not yet a member of the PIAAC wiki community, apply here. Is there a PIAAC-related event coming up that you’d like us to know about? Please share your event with us using the form on our calendar page. A number of videos about PIAAC are available on the PIAAC Gateway. The topics range from an overview of key findings in the U.S. to a policy talk about PIAAC and its implication for economic research and policy. Below are examples of the videos you will find on the Gateway. Download and print our informational brochures and infographics to learn more about PIAAC, and share the printed copies with your colleagues and at conferences or other events. Post information about PIAAC on relevant websites, blogs, and discussion lists. Let us know if you have an upcoming conference and would like us to present. Use the PIAAC Outreach Toolkit to plan a presentation.